Recently I finally found my go-to yellow cake recipe! How did I not have one after having the blog all this time!? 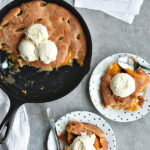 It’s my new favorite because it’s SO easy to whip up and the cake comes out fluffy, moist, and with that perfect, buttery yellow cake flavor. 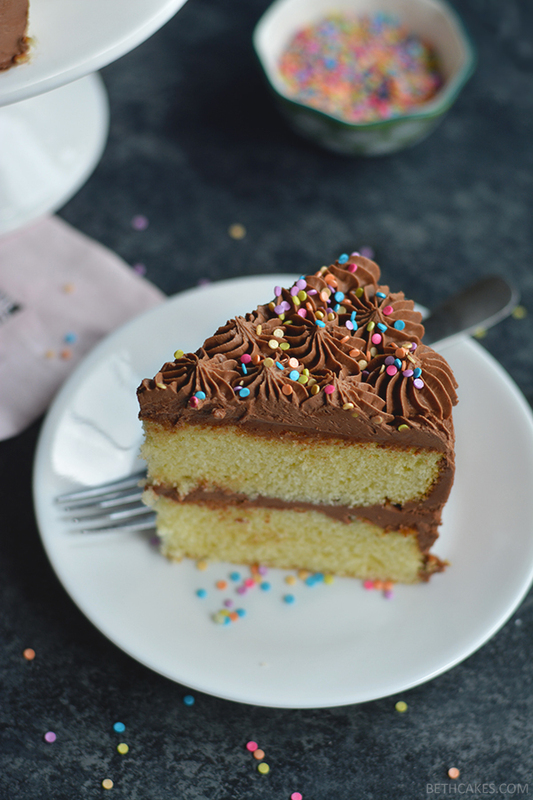 So it was only a matter of time before I made the most classic of all cakes – yellow cake with chocolate frosting. Yes! 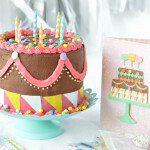 A birthday cake favorite among people of all ages! There’s just something so nostalgic and familiar about it. Today I’m also partnering up with OXO to talk about spring cleaning in your kitchen! I received their 10-Piece POP Container Set, which I was THRILLED about. 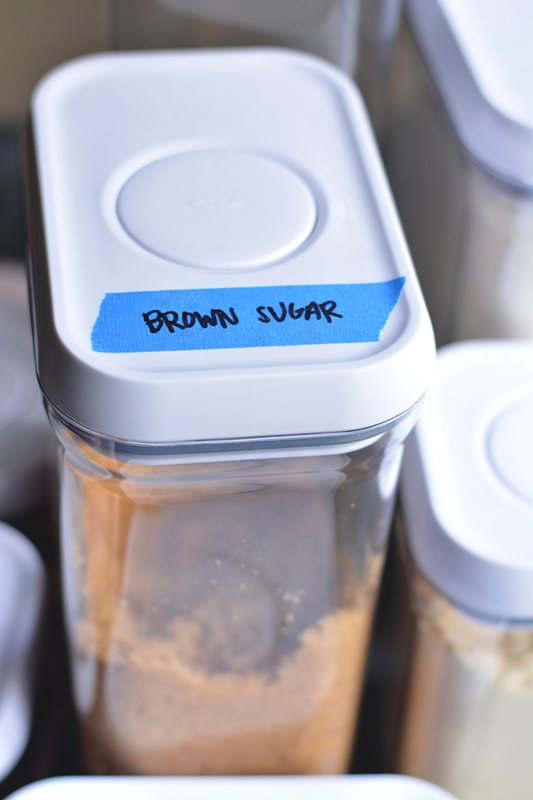 I have so many different kinds of flours, sugars, and other various baking things in my kitchen, and I’m always looking for good ways to store them. Before I got these containers, I’d just throw most things in a ziploc bag to be honest. I was already keeping all-purpose flour, sugar, and powdered sugar in large containers with lids because I use those the most, but now I have containers for everything! Cake flour, coconut flour, brown sugar, chocolate chips, shredded coconut, etc., etc. I love these pop containers because they come in so many different sizes, and when you press the button on the lid, it suctions the lid onto the container. This keeps them air-tight and helps keep the contents fresh longer! I’ve also been enjoying the Microfiber Under Appliance Duster, which helped me clean some frightening things out from underneath my oven (lol), and the Kitchen Appliance Cleaning Set, which includes brushes and scrapers to help clean kitchen things that are hard to clean! I’ve been using these with my food processor and blender the most. 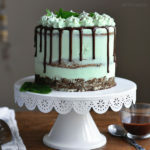 This cake uses cake flour, which I now keep in a fancy pop container! 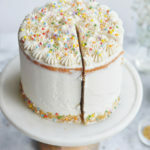 I know this might be an inconvenience if you don’t keep cake flour on hand, but it gives this cake such a fluffy texture. 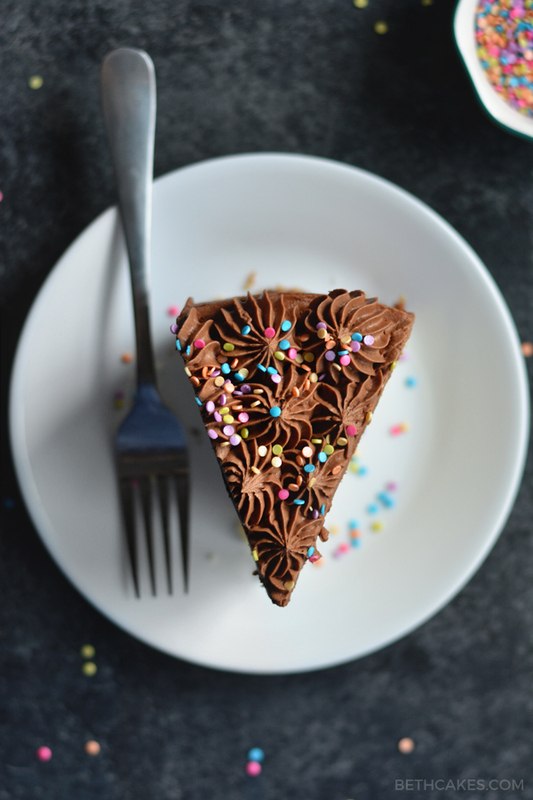 I have not tried this cake with regular all-purpose flour, and I really encourage you to use cake flour instead! You can find it in the flour section of the baking aisle at the grocery store, and it usually comes in a box as opposed to a bag. Instead of butter, this cake uses oil. You can use canola or vegetable, whichever you prefer. 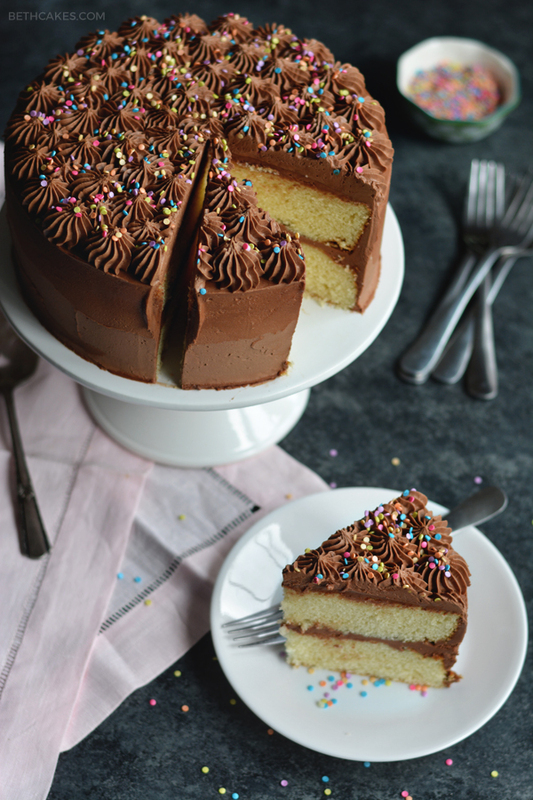 Most cakes call for butter instead of oil, but I think the oil is what helps keep this cake moist. Because we’re using oil instead of butter, I added a teaspoon of butter flavoring, which can be found near the vanilla extract on the baking aisle. Again, you can leave it out if you don’t want to buy it, but I think it really helps with the flavor! Here’s some more info about the OXO items I’ve been using to spring clean my kitchen! 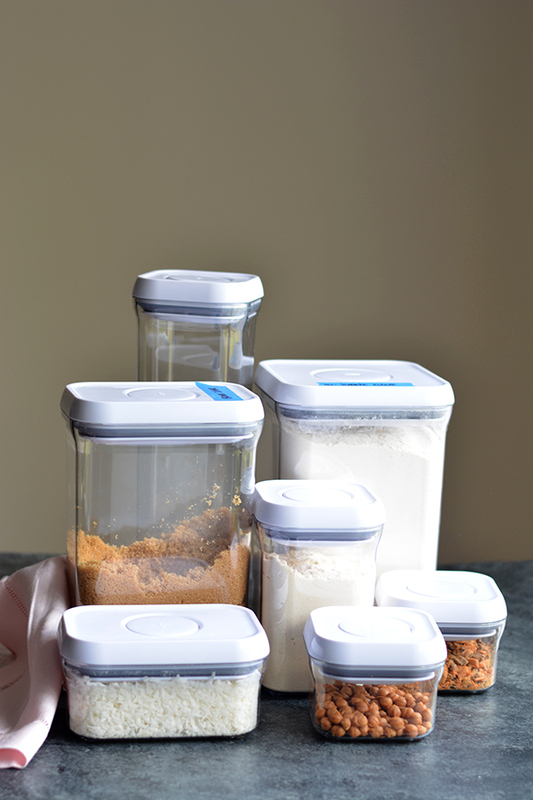 10-Piece POP Container Set: Stackable and space-efficient, POP Containers are designed for modular use, so you can organize in any number of height combinations to fit your countertop and pantry. Push-button mechanism creates an airtight seal with just one touch. Corners are shaped for pouring. Microfiber Under Appliance Duster: Our Slim Duster features a long, flat profile to go where other dusters don’t: around and underneath appliances and cabinets. The long, fluffy fibers conform to uneven surfaces to capture dust bunnies. To clean the head, simply unsnap it and wash in cold water, then dry without heat. Kitchen Appliance Cleaning Set: This versatile, compact Kitchen Appliance Cleaning Set features durable nylon brushes and scrapers that can get into your kitchen fixtures and appliances’ tight spaces and get unsightly buildup out of them. Tools snap together into clip for storage. Preheat oven to 350°F. Line two 8-inch cake pans with parchment paper and spray with nonstick spray. Whisk together cake flour, baking powder, and salt. Set aside. In a large bowl, combine sugar, eggs, oil, vanilla, and butter flavoring. Mix on medium speed with an electric mixer until just blended. Add half of milk and half of flour mixture to the wet ingredients. Mix until just combined. Repeat with remaining milk and flour mixture. Mix well. Let cakes cool in pans for about 5 minutes before transferring to a wire rack to cool completely. Cream butter on medium-high speed with an electric mixer. With mixer running, add shortening. Mix until smooth and creamy. Add cocoa powder, vanilla, and milk. Mix well. Add half of the powdered sugar and mix until well blended. Repeat with second half of powdered sugar, and mix for 1 minute. 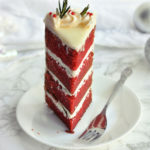 Spread frosting between cake layers and over outside of cake. Pipe frosting on top if desired. 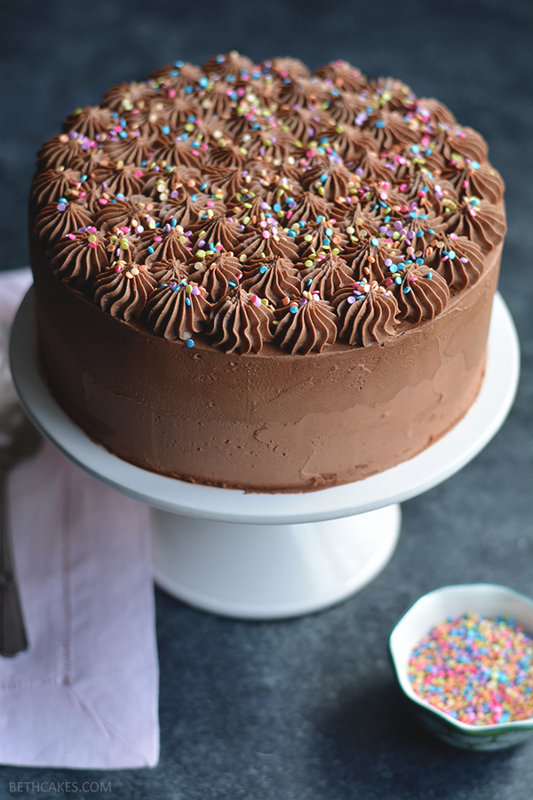 Decorate with sprinkles! 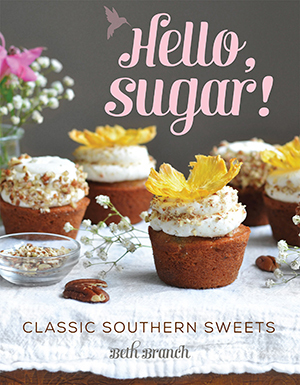 This classic looks absolutely delish! 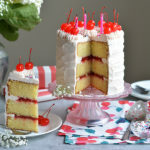 It’s making me want cake for lunch! 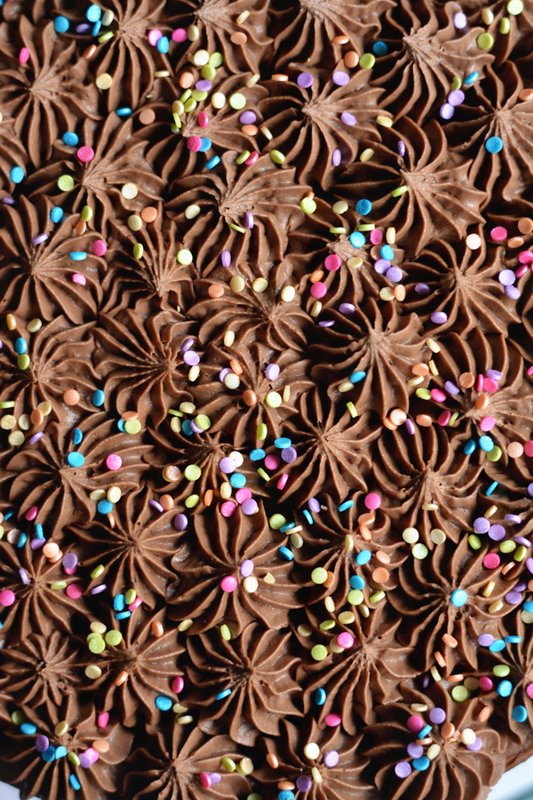 This chocolate frosting is fantastic!!!! 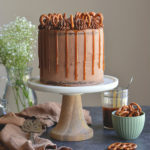 If I wanted to use this recipe to make just a white buttercream, should I do anything other than just leaving out the cocoa?